Exactly one year ago, I held a rum-tasting at the Midnight Frights​ party at RavenCon​. 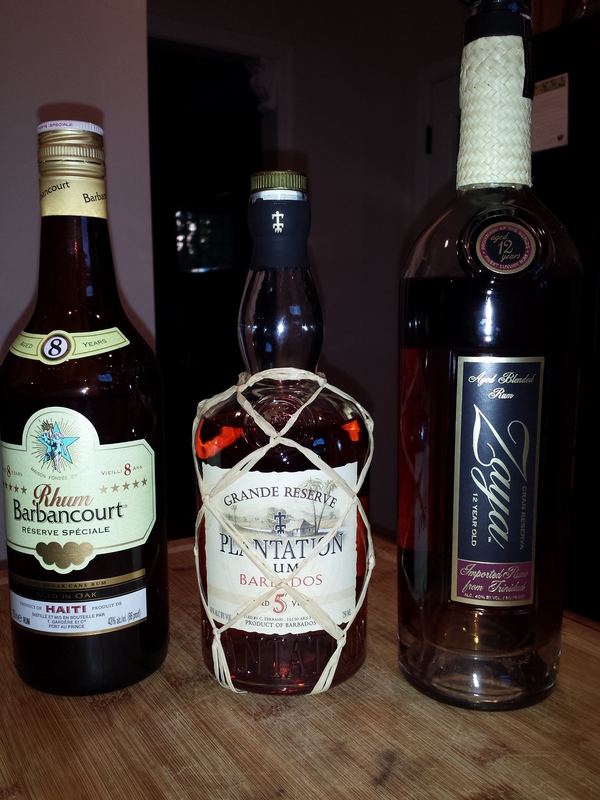 The best one we tried was the 12-year rum from Trinidad, followed closely by the 5-year rum from Barbados. The 8-year rum from Haiti was a distant third. The New Orleans rum and the Cruzan 5-to-12-year rum were not very good, but perfectly serviceable when mixed with orange/pineapple/banana juice and ginger ale.